( 1:45 ): Welcome back to TSC HIM & HER Show. 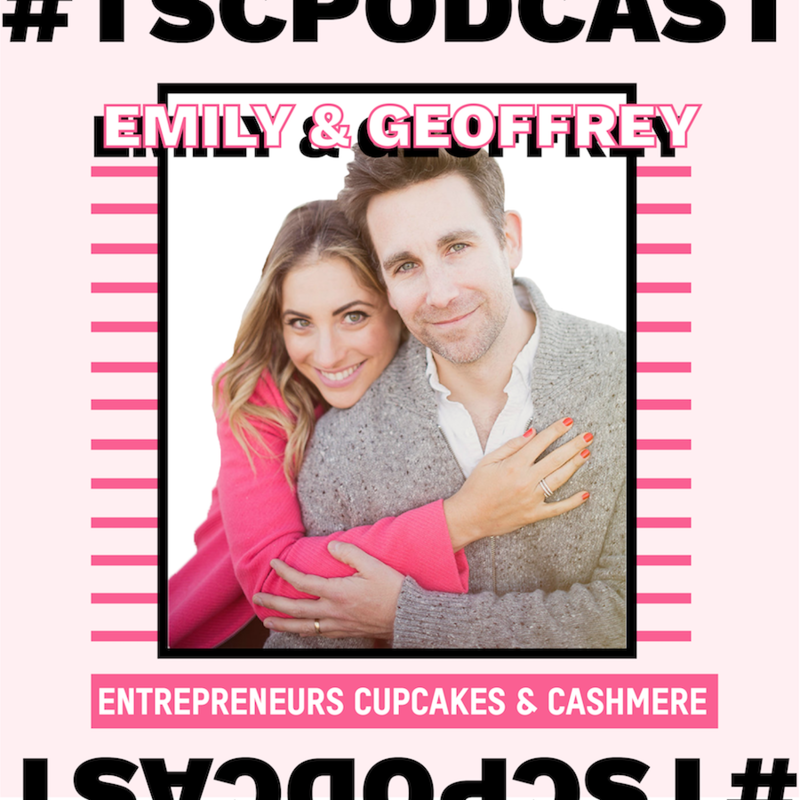 This week we are joined by Emily Schuman an Geoffery Fuller from Cupcakes & Cashmere. ( 6:30 ): Why building a personal brand online is a must in 2018. Find your medium. ( 11:10 ): Emily Schuman is one of the original fashion bloggers having launched her blog Cupcakes & Cashmere 10 years. Emily has grown her brand with her husband and we knew they would be the perfect fit for our live podcast at The Grove. Where is the worst place to get stuck? Who normally wins in a argument? How do you stay fit when your work revolves around cupcakes? What’s your favorite personal development book? How do you balance being a mom and running a business? Where should you focus when beginning? Where do you discover products? + This episode is brought to you by Skillshare. Skillshare is an online learning space offering more than 20,000 courses. Join the millions of students already learning on Skillshare today with a special offer just for our listeners: Get two months of Skillshare for just 99 cents. That’s right, Skillshare is offering The Skinny Confidential listeners two months of unlimited access to over 20,000 classes for just 99 cents. To sign up, go to www.skillshare.com/skinny. + This episode is brought to you by FOUR SIGMATIC. We have been drinking this company’s mushroom-infused elixirs and coffees for over a year now. When we need a break from coffee but still need that extra morning jolt and focus the Mushroom Coffee with Lion’s Mane and Chaga is the way to go. Lauryn also drinks the Mushroom Matcha which is a green tea designed as a coffee alternative for those of you who want to cut back on caffeine without losing focus and cognitive boosts. This stuff doesn’t actually taste like mushrooms, it’s delicious. All of these blends have a ton of nutrients and amino acids to give you balanced energy without the jitters. To try FOUR SIGMATIC products go to foursigmatic.com/skinny and use promo code SKINNY for 15% off all products.